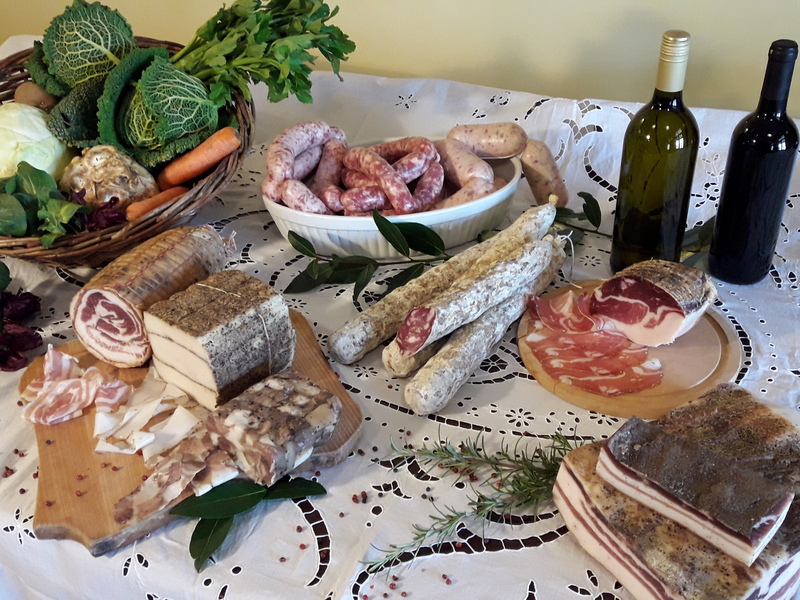 The agritourism Faganeli is a family farm led by master Diego and mistress Margerita, who are being supported by their hard-working sons Matej and Gregor. The jobs on the farm are divided so that the mistress and the younger son Gregor take care of the culinary delights, with whom they pamper their guests. 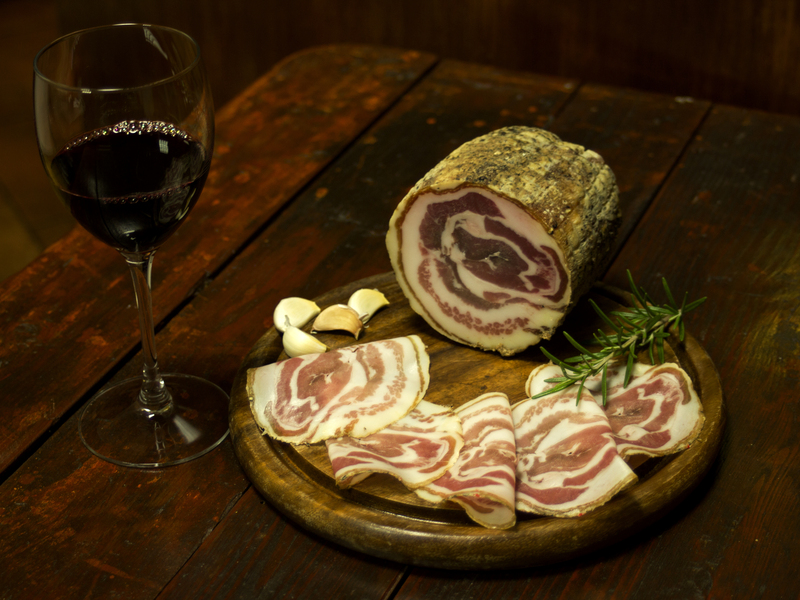 The master and the elder son, Matej, are engaged in the processing of meat and the production of dried meat products. All together, they work with the grandparents in a vineyard, and make sure that the wine barrels are filled with the best wine on St. Martin's Day. We give you a nice and pleasant atmosphere in the farm's homey ambiance. 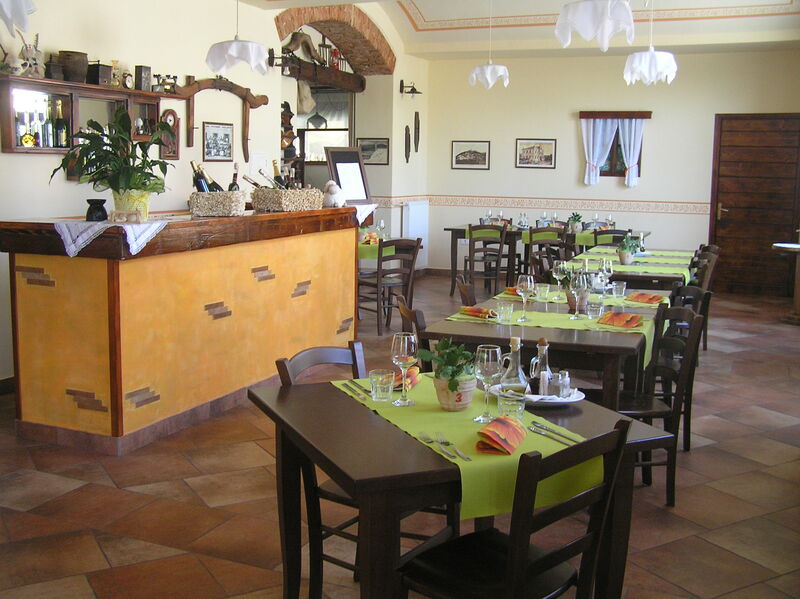 Domestic cuisine and wine are recipes for the well-being of our guests. In the warmer months you can sit on the covered outdoor terrace. A few tables with umbrellas can be placed on a meadow where you will be served food as well and this will give you the opportunity to be even more connected with nature. All the foods we use to prepare the meals are carefully selected, fresh and healthy. Most foods are either of our own production and processing or they are foods of renowned farmers from the surrounding area. That is why the offer of our dishes is seasonally flavored.